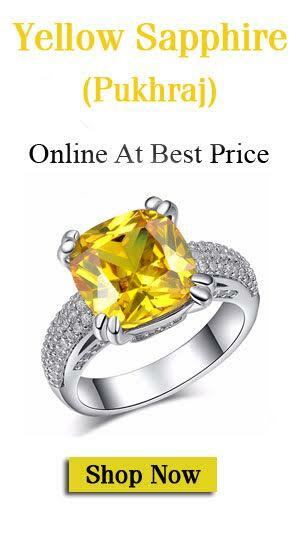 Those who are looking for a stunning yellow colored gem may face the dilemma as to which gem should they opt for out of Citrine, Yellow Topaz, and Yellow Sapphire gemstone. Even though all of these gemstones have similar color, yet they are quite different from each other. Let’s understand the difference between Citrine (Sunela), Yellow Topaz and Yellow Sapphire (Pukhraj stone). The Citrine stone has a hardness of 7 on the Moh’s scale of hardness. Whereas Yellow Topaz has a hardness of 8 and Yellow Sapphire has a hardness of 9. 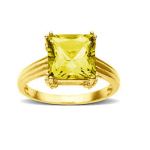 Thus, Yellow Sapphire is the hardest of these three gemstones. 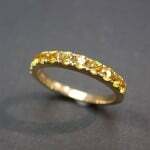 So, those who are looking for a durable option of a yellow gem, Yellow Sapphire should be the preferred choice. The Citrine gemstone belongs to the Quartz family. The Yellow Topaz is from the Topaz family, whereas the Yellow Sapphire is a part of the Corundum family of gemstones. Citrine’s optic character is DR uniaxial +. Whereas, Yellow Topaz has DR biaxial + optic character and Yellow Sapphire gemstone has DR uniaxial – optic character. When it comes to the refractive index of these gems, Citrine has a refractive index of 1.544-1553, Yellow Topaz has a refractive index of 1.610-1.620, and Yellow Sapphire gem has a refractive index of 1.760 – 1.770. Citrine’s specific gravity stands at 2.65. Whereas Yellow Topaz has a specific gravity of 3.52, and Yellow Sapphire stone has a specific gravity of 4.00. 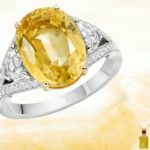 While the Citrine gemstone is always transparent and the Yellow Topaz gem is sometimes transparent, it is the Yellow Sapphire gemstone which is rarely transparent. The decision of buying a gemstone always has price as a dominant factor. While there are many gem lovers who can spend thousands and even lakhs of rupees on gemstones, others may have to think twice before buying a gemstone as several gems come with a hefty price tag. Therefore, it is important to note whether your preferred yellow gem is a precious gem or a semi-precious one. While Citrine and Yellow Topaz fall into the category of semi-precious gemstone, Yellow Sapphire is a precious gemstone, and hence, more expensive than both Citrine & Yellow Topaz. Citrine’s deposits exist around the world. However, the prominent sources of this gemstone include places like Argentina, Bolivia, France, Madagascar, Myanmar, Namibia, Russia, Scotland, Spain, Uruguay, and Zambia. The stunning Yellow Topaz is found in Australia, Brazil, Burma, Czech Republic, Germany, Mexico, Nigeria, Pakistan, Russia, Sri Lanka, and Tasmania and the United States. Yellow Sapphire has many famous sources of origin. The prominent ones include Australia, Brazil, Burma, India, Kenya, Malawi, Sri Lanka, Tanzania, Thailand, the USA, and Zimbabwe. 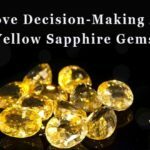 Now that you know the major points of distinction between Citrine, Yellow Topaz, and Yellow Sapphire, get the one that suits your needs the most. Make sure to check the right price of these stones and rely on a renowned supplier who provides nothing but pure and natural gemstones. This will help you experience the astrological benefits that these gemstones carry with them. Before you take the decision to buy one or more of these gemstones, do consult an expert astrologer who can inform you about the possible effects that your chosen gemstone may bring into your life. Every natural gemstone influences the life of the wearer in one way or the other. This makes it important to check how a particular gem can influence your life. 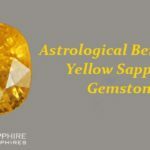 Thus, based on a meticulous analysis of your birth chart, horoscope, and the positions of various planets in your life, an experienced astrologer can guide you about the probable changes that are likely to happen once you wear a specific gemstone. So, simply go ahead and find out which all gemstones will suit you and get them from a trustworthy gemstone supplier without any further delay.